19026 & 19042 72nd Ave. South, & 19030 W. Valley Hwy. West Valley Distribution Center is a portfolio of three industrial buildings totaling 138,296 square feet. 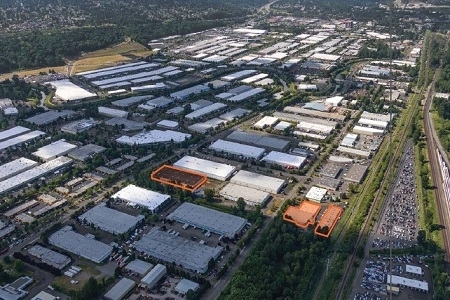 The assets are located in the heart of the desireable Kent Valley industrial submarket. One building is located on West Valley Highway and two buildings are located on 72nd Avenue South. EverWest acquired the asset on behalf of a separate account with a western U.S. state pension fund in October 2017.